On the fertile green plains of Alberta, Canada, the Kraay Family has engineered the world's largest QR code into a cornfield. And yes, the code works! Hold your smartphone outside the window of a hovering helicopter and when you point it at the code you'll be directed straight to the Kraay Family Farm website. The QR code takes up about 1.1 square miles of land and has just been verified by Guinness as being officially the world's largest functioning QR code. It's just the latest in a tradition going back more than a decade for the Kraay family: every year they do a "maize maze" featuring wildly intricate designs in their cornfield. 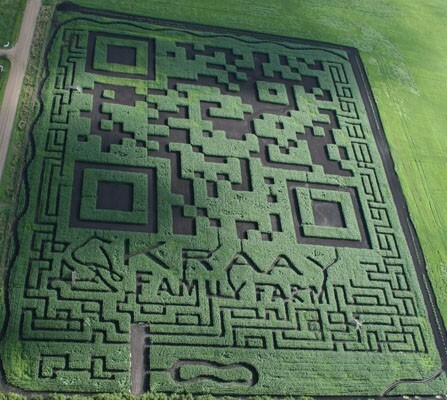 Mash on over to Engadget for more about the Kraay family's techno-agricultural art!